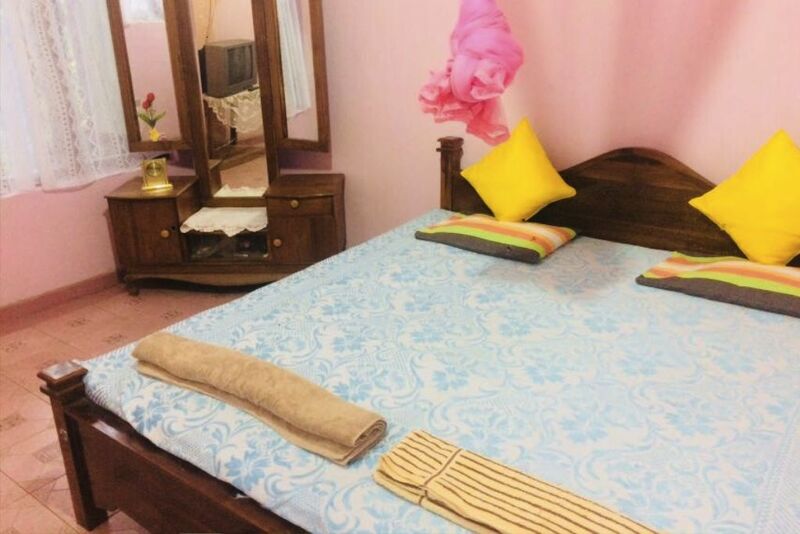 Enjoy a Pure Village experience at Aruni Villa stay which is located in the historic village of Kandy in an extremely Green area. Aruni Villa is within a 30 minute distance by car to Kandy city and is surrounded by the Green Tea plants and GreenMountains. The room and the toilet is clean and fresh. Free breakfast. Lunch and Dinner can be also arranged by request. Even if blocked the dates on calendar there is availability on another room. So you can send a inquiry to make an reservation. For arrive to our place you would take a bus from Kandy to Wattegama Town. Please leave us a message before you arrive Wattegama . I will come to pick you to the Village. Please inform us early of your requirement. Our home is open for guests and we are available to help you all the way arranging tours of local places and give useful tips. Kandy City guide and Village Safari can be arranged by request. A special tour could be arranged to visit to Pinnawela elephant village and to Dambulla and Sigiriya rock fortress. I ll be happy to help you arrange a car or tuk tuk with a trust worthy driver for your long distance travels as per your request.